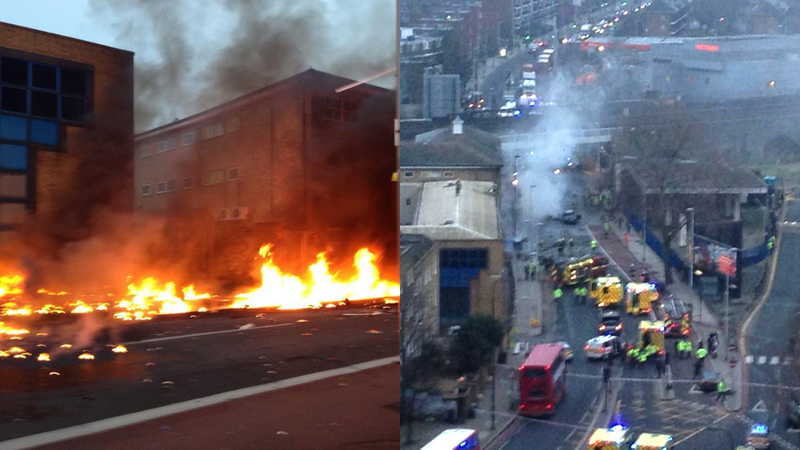 Two people are killed and several others injured in a helicopter crash in central London. The pilot, who died in the accident, has been named as Pete Barnes. The helicopter exploded into flames and plunged to the ground near Vauxhall station, after crashing into a crane on top of one of Europe’s tallest residential towers just before 8am. The pilot has been named as Pete Barnes, who worked for flight operator RotorMotion. 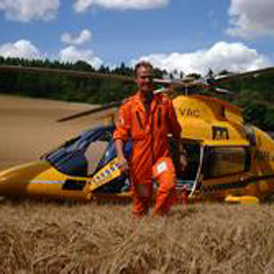 The company said he was one of the most experienced pilots in the UK and had flown helicopters in action scenes in numerous films from Die Another Day to Saving Private Ryan. Matthew Wood, 39, from Sutton, in south London, was also killed in the rush-hour accident, Scotland Yard said. Five people were taken to hospital, one with a broken leg, and seven people were also treated at the scene. A man was also rescued from a burning car as firefighters brought the flames under control. One of the first firefighters to the scene said it was “absolute chaos”, but that the helicopter blaze was extinguished within 25 minutes. Around 60 police officers and 90 firefighters attended the scene of the crash, while another team attended the crane. 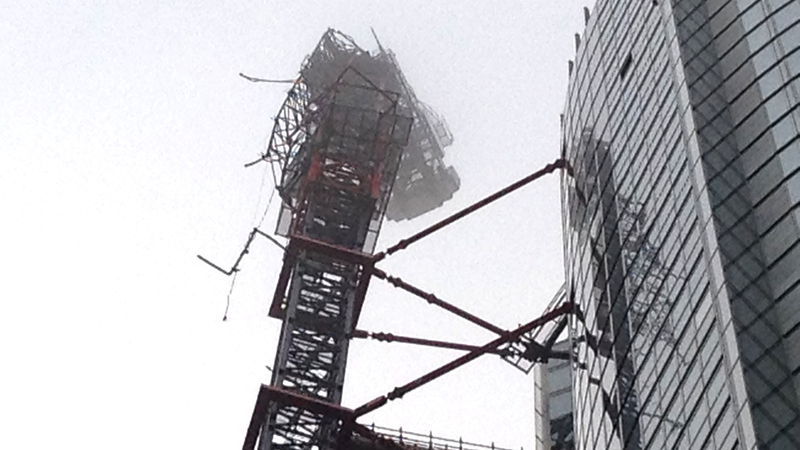 The crane driver was told not to go up into his cab because of the bad fog, the chairman of the site developer said. Tony Pidgley, chairman of developer Berkeley Group, dismissed earlier reports that the crane operative was late for work, saying health and safety requirements did not allow him to be in the cab in those conditions. “The crane driver was not up in the crane because we would not allow him to go up when the fog is at that level,” he said. “He was on site having a cup of tea. Poor visibility is one possible explanation for the crash as investigators try to piece together what went wrong. London City Airport had reported delays because of weather conditions earlier and the top of the newly-built tower was covered in clouds in the early morning. However eyewitnesess also said the helicopter appeared to spin out of control and that the helicopter appeared to be “struggling” before it hit the crane. Air accident investigators say it could take “several months” until a definitive report into Wednesday’s helicopter crash in south London is produced. A team of six is currently at the site working with emergency services. The helicopter pilot had requested to divert and land at the nearby London Heliport due to bad weather, but the heliport said in a statement they hadn’t gained contact with the pilot. Met Police Commander Basu said that the plane was on a commercial scheduled flight from Redhill, Surrey to Elstree before it was diverted. Mist and poor visibility could have forced the pilot to fly lower, International Bureau Aviation (IBA) President Phil Seymour told Channel 4 News: “He was maybe looking for obvious signs, such as the Thames, for direction.” An investigation into the cause of the crash will assess whether it should have been flying in that area, and what height was recommended for that area, Mr Seymour added. The horrific scene unfolded at the height of the morning commute when thousands of pedestrians were trying to get to work. 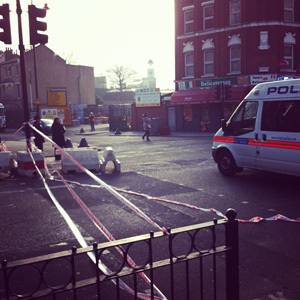 Roads around the area – leading to nearby Oval and Westminster – remain closed and Vauxhall bus and tube stations are shut. Eyewitnesses to the crash suggested that the pilot appeared to have lost control before the helicopter hit the crane. Resident of the nearby Wyvill Estate, Sharon Moore, 36, saw the crash happen at 7.55am as she stopped to talk to a neighbour while taking her daughter to school. As the helicopter crashed into the crane on top of the tower, the propeller sliced open “like a piece of paper,” she added. Ms Moore then heard a series of three loud bangs in quick succession as the crane fell, followed by the helicopter and then a car which hit the helicopter going up in flames.